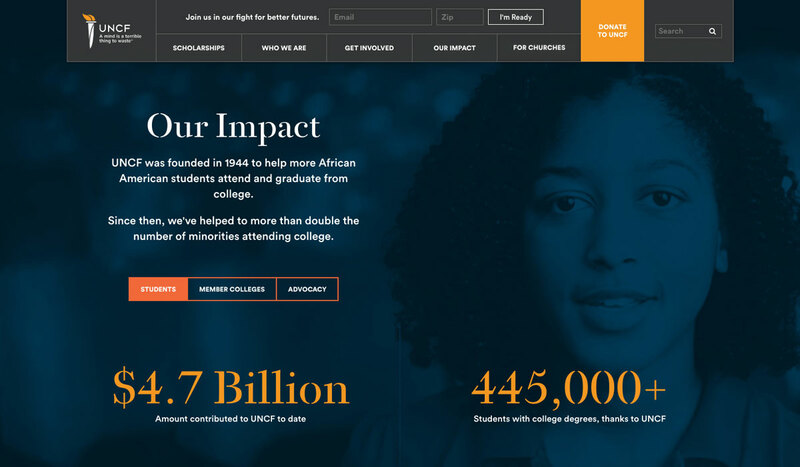 The redesign of UNCF’s website was focused on reintroducing the organization in the digital space as a leader in providing financial support for students to attend and thrive at historically black colleges and universities. 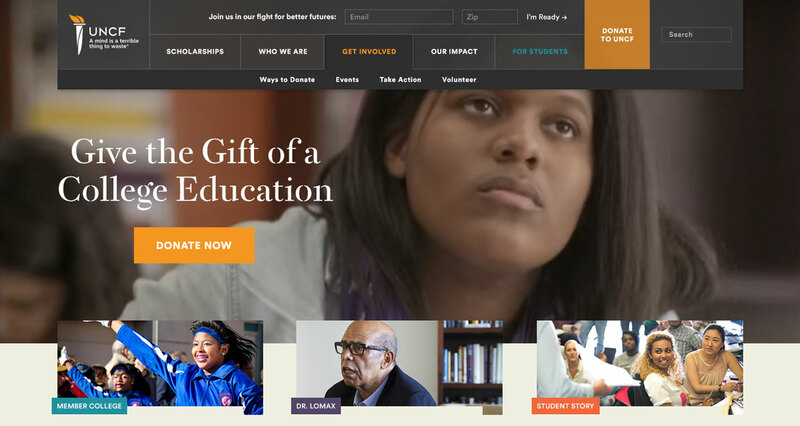 Their impact over the past seven decades needed a modern website that accurately conveyed their mission. 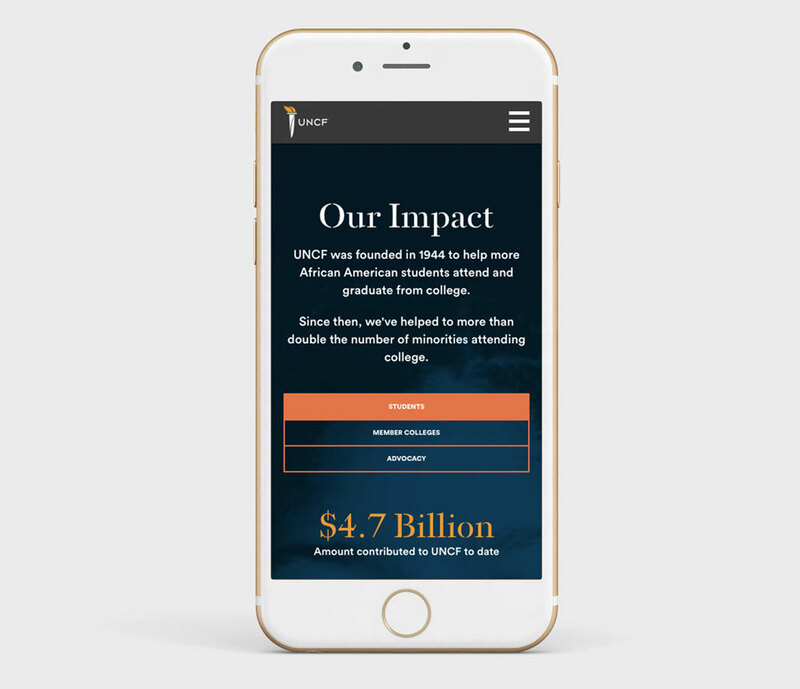 Throughout the process of the site build, and alongside a talented creative team, we were able to push the interactive elements and student-focused content that best fit their brand and re-engaged their community. Learn how I achieved the duotone treatment applied to their images in this CSS Tricks article!